The location of the TM fields in the computational domain (mesh) follows the same philosophy as shown in Fig. 12. 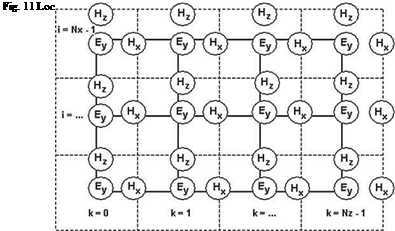 Now, the electric field components Ex and Ez are associated with the cell edges, while the magnetic field Hy is located at the cell center.